Former Fullerton Police Chief David Hendricks. 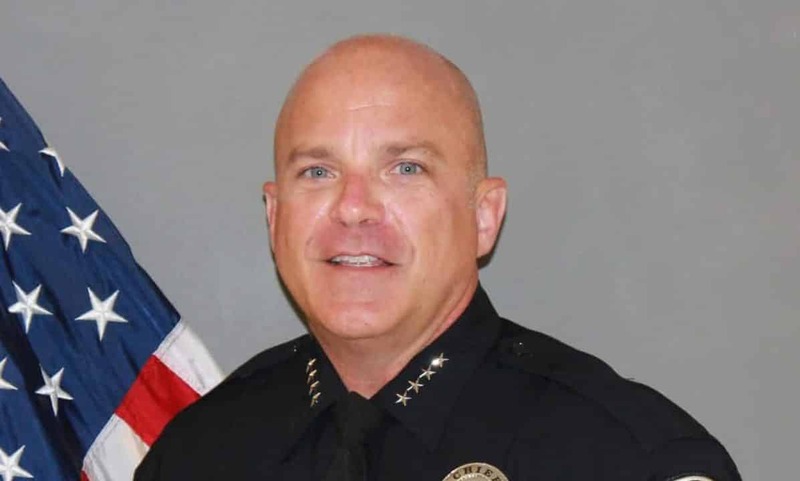 Fullerton Police Chief David Hendricks, who was placed on paid leave in late August amid an investigation into his involvement in an altercation that also involved a police captain at a concert in Irvine, resigned today. Hendricks was a deputy chief at the Long Beach Police Department until July 2017 when he took the top Fullerton police job. He’d worked in Long Beach since 1994. A statement released by Fullerton announcing his resignation did not mention the criminal probe. Capt. Robert Dunn, who was named interim chief in August when Hendricks was placed on leave, will continue to lead the department pending a search for a new chief. Hendricks has been under criminal investigation over an Aug. 24 confrontation at a Lady Antebellum concert at FivePoint Amphitheatre. Hendricks and police Capt. Thomas Oliveras allegedly got into a scuffle with a pair of emergency medical technicians who were tending to Hendricks’ wife during the concert. Hendricks and Oliveras were kicked out of the concert. No injuries were reported, but Irvine police investigated the altercation and submitted their probe to Orange County prosecutors in late August for consideration of possible criminal charges. As of Friday morning, no criminal charges against the pair have been announced.